The Collinsport Historical Society: Barnabas + Julia 4 Ever? "And while the break in the fourth wall between fans and creators might feel like a post-Internet phenomenon, feedback has been influencing the direction of shows since Dark Shadows first matched Barnabas Collins against Dr. Julia Hoffman and the show’s most popular ’ship was born." The Barnabas/Julia dynamic remains one of the most interesting examples of this trope, even after five decades. From a creative point of view, it's another example of how important casting can be in a television series. Had someone other than Grayson Hall been selected to play Julia Hoffman — or (gasp!) 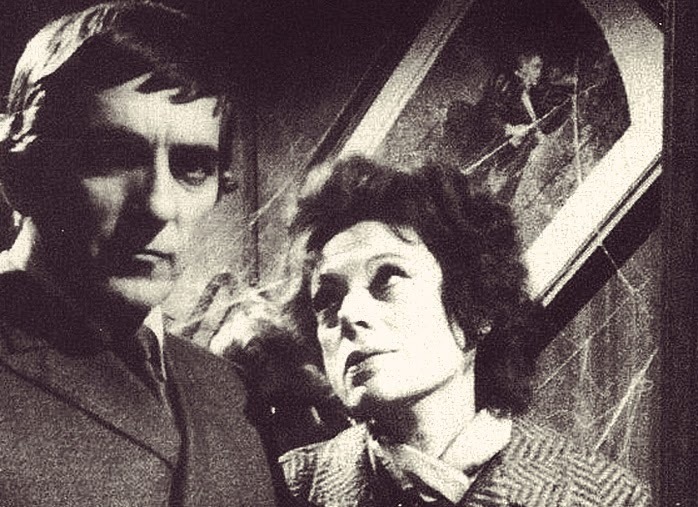 had the writers pursued the original idea of Dr. Julius Hoffman — DARK SHADOWS would have been a very different show, indeed. The idea of Hoffman's "unrequited love" was reportedly Hall's, something devised to give her character much-needed depth early on. When you factor in the violence, the sexless nature of DARK SHADOWS and the addition of Donna Wandrey (i.e. "Young Julia") to the cast, and you've got a really compelling/troubling relationship worth talking about.